Cardial dilatation was performed using the Matsuo pneumatic bag dilator during the 26 year period from 1964 to 1989. 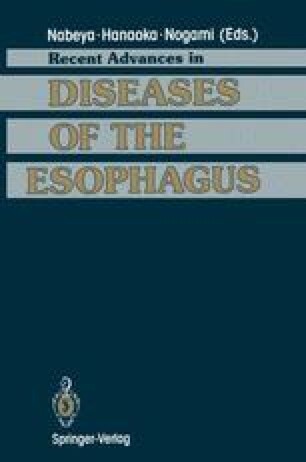 The long-term efficacy of the method was assessed in 163 cases of esophageal achalasia after more than 1 year had elapsed since therapy. Of these cases, 54 (33.1%) were male and 109 (66.9%) were female.